According to the Delhi Metro Rail Corporation sources, the grant has been given for work on Nodia and Ghaziabad sections of the network. The Delhi Metro's current operational span is 327 km with 236 stations. 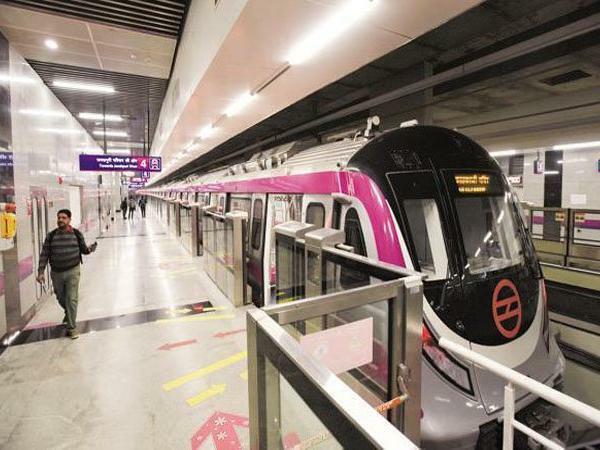 Delhi, Metro Rail News: The Delhi Metro Rail Corporation (DMRC) has been given a grant of Rs 414.70 crore in the Union Budget 2019-20 as against Rs 50 crore in the last fiscal. Finance Minister Piyush Goyal shared the details while presenting the Interim Budget in Parliament. According to sources, the grant has been given for work on Nodia and Ghaziabad sections of the Metro network. The Delhi Metro’s current operational span is 327 km with 236 stations. The last section of the DMRC made operational December 31, 2018. The 9.7-km Lajpat Nagar-Mayur Vihar Pocket 1 corridor of the Pink Line, directly connected south and east Delhi on the rapid transit network. The Ministry of Housing and Urban Affairs (MoHUA) has been allocated Rs 17,713.93 crore for executing metro projects across the country, which was Rs 14,264.60 crore in the previous Budget. The Delhi Metro Rail Corporation (DMRC) has been given a grant of Rs 414.70 crore as against Rs 50 crore in 2018-19. The government has set aside Rs 19,152 crore for Mass Rapid Transit System (MRTS) as against the previous Budget’s allocation of Rs 15,000 crore.